On everyone’s to-do list is to stroll through the Old Market and Gene Leahy Mall where millions of lights are strung up for 40 blocks as part of Omaha’s Holiday Lights Festival. You can count on this festival to kick the holidays off in Omaha – starting with tree lighting and a concert on Thanksgiving Night. 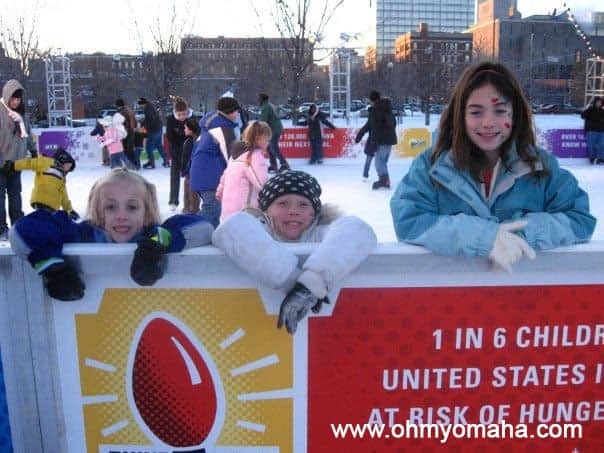 The weeks-long festival includes carolers on the weekends, an outdoor ice skating rink, the free Wells Fargo Family Festival, and fireworks on New Year’s Eve. The ice rink during the Holiday Lights Festival. Since this picture was taken, the rink has relocated a few blocks to the north. 2019 News: The lights strung around Gene Leahy Mall are one of my favorite parts of the festival. However, starting in 2019, there will be construction that will make it impossible to have the lights up at the mall for a few years. See them this year, before they’re temporarily relocated. 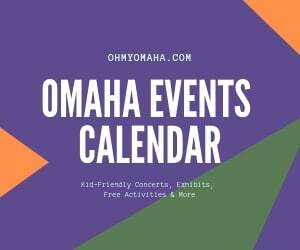 Omaha’s zoo – Omaha’s Henry Doorly Zoo & Aquarium has a couple of events to note. On some weekends, Holiday Happenings is a fun one to catch. Head to the aquarium at designated times to watch Santa and elves scuba dive in the shark tank. The event is included with admission. For an extra fee, there are holiday events with a meal like Pancakes & Penguins. The Durham Museum is home to the largest indoor Christmas tree each year. 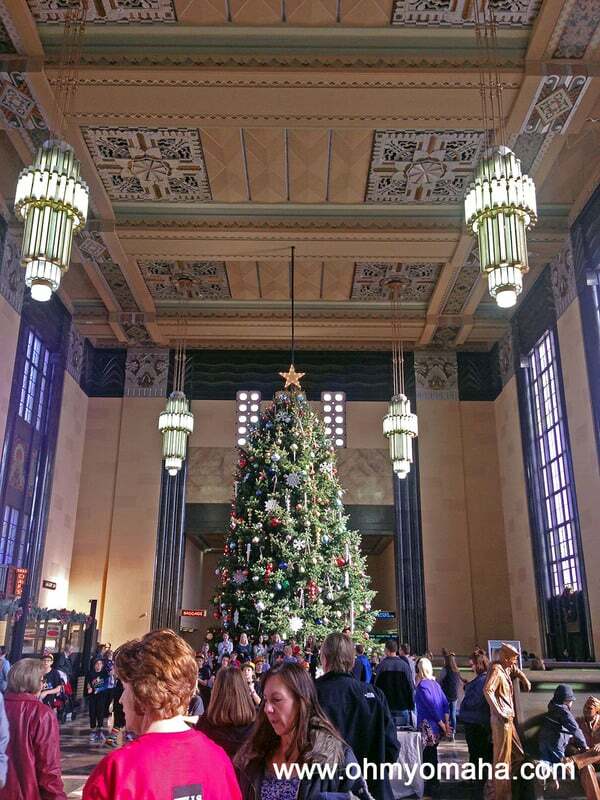 “Christmas at Union Station” usually begins the day after Thanksgiving and runs through early January. The Durham Museum – One of my favorite ways to kick off the season is the tree lighting ceremony at The Durham Museum. It’s held the day after Thanksgiving each year, and while it’s always super crowded, it’s worth fighting the crowds to be a part of it. It also kicks off Christmas at Union Station, which runs throughout the holidays and includes the Holiday Cultural Tree Exhibit, pictures with Santa, concerts, and the Holiday Cultural Festival. 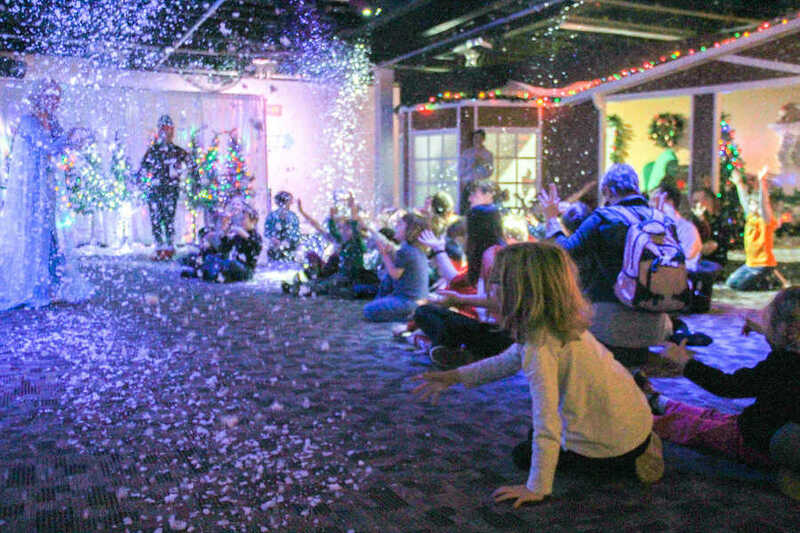 Omaha Children’s Museum – If your kids are younger, there’s nothing more magical than “Santa’s Magic,” which runs from Black Friday through Dec.. 23 typically, at Omaha Children’s Museum. It’s an interactive show with an Elsa-like character who makes it “snow” indoors, elves, and Santa arriving by chimney. Kids get a turn talking to Santa at the end. 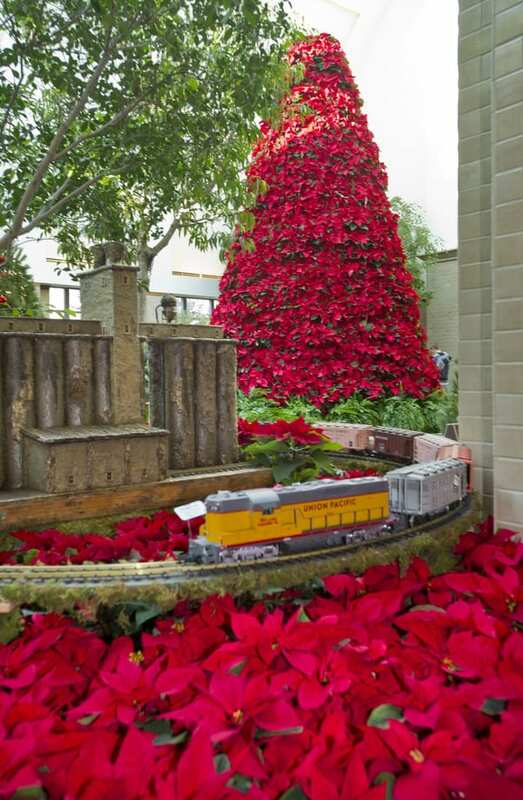 Lauritzen Gardens – Omaha’s botanical gardens have the annual Holiday Poinsettia Show. Kids will like that the model trains run around the displays. While I’m there, I enjoy stopping by the conservatory. It’s a tropical oasis in the winter. For the past two years, the Poinsettia Show has been lit at night for visitors in the evening. 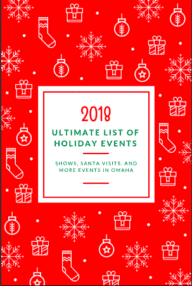 There are a few things you can be sure of, and one is that there will be an abundance of Christmas concerts to choose from each year in Omaha. 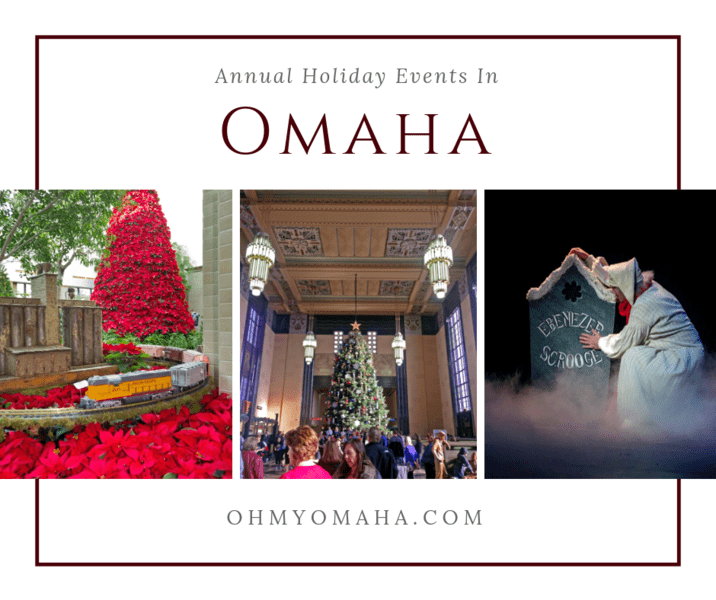 Omaha Symphony – “Christmas Celebration” has been an annual tradition for years. While the show changes with music and featured performers, you can be sure that Santa will be there (and many “Santas” who will be dancing at one point). Handel’s Messiah – I have yet to catch this annual performance by Voices of Omaha, but this concert features a long concert choir singing. It’s usually held in mid-November. Holidays Under Glass – This is a free lunch-time concert series at the Joslyn Art Museum. If you go, you may want to arrive early to make sure you get a seat in the atrium. Making Spirits Bright Concert & Sounds of the Season – A big part of the Holiday Lights Festival is music. There’s a free concert every year on Thanksgiving night called Making Spirits Bright at the Holland Performing Arts Center. You’ll also find carolers on the weekends in the Old Market and in Gene Leahy Mall for free mini concerts (AKA, Sounds of the Season). 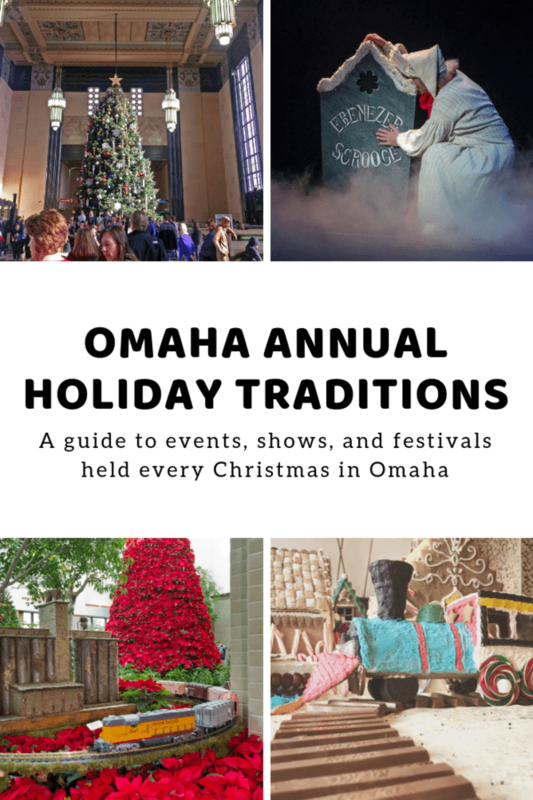 Omaha is home to a thriving performing arts scene, and there are quite a few traditional holiday shows performed each year. 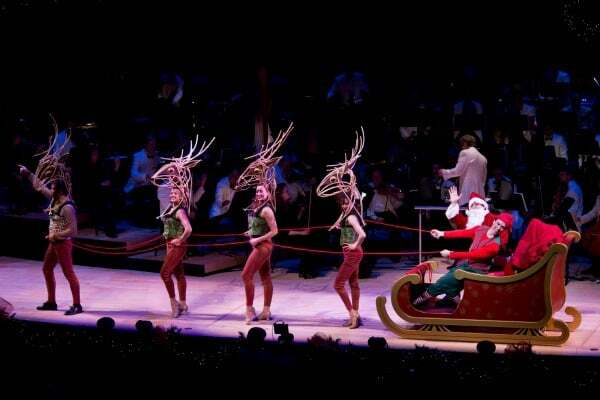 Plus, many theaters like The Rose will have a holiday show this time of year. 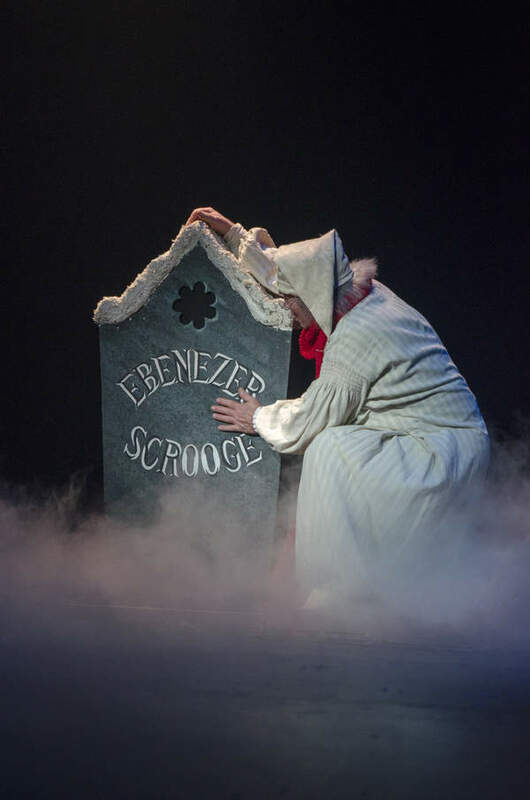 Omaha Community Playhouse – OCP has been performing “A Christmas Carol” for decades and its perfected the musical. It’s great to introduce to elementary age kids or older (it’s kinda long). The sets, costumes, music and choreography is top notch every year. American Midwest Ballet – Nebraska Ballet is now American Midwest Ballet, the regions only professional ballet company. 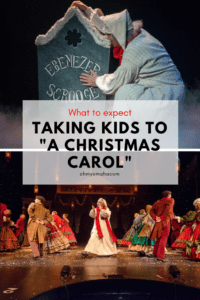 They’ve been performing “The Nutcracker” for years, and you can usually catch it at the Orpheum Theater in Omaha or Iowa Western Community College’s Art Center in Council Bluffs, Iowa. 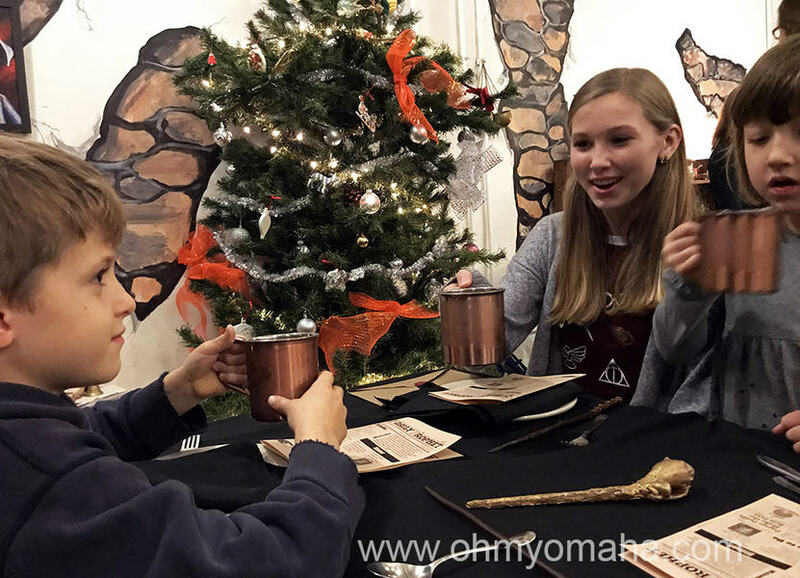 The toast before the first sip of butter beer during the annual show “Holiday at Hogwarts” at Apollon Art Space in Omaha. 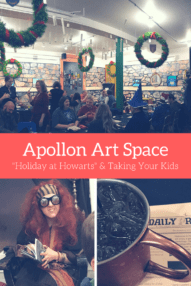 Apollon Art Space – A little untraditional, but still it feels like a holiday show, “Holiday At Hogwarts” is an annual dinner theater show at Apollon Art Space. During this interactive show held in December, you’ll talk with familiar characters from Harry Potter’s world in a dining room decorated for Christmas. It’s pretty kid-friendly, so you’re fine going with or without kids. Read more about the show here. Gingerbread Festival – Each year, dozens and dozens of gingerbread creations are on display at the Mormon Trail Center in North Omaha. The free Gingerbread Festival has a different theme each year and they’re made by children, families and, what I have to guess, are semi-professional gingerbread engineers. 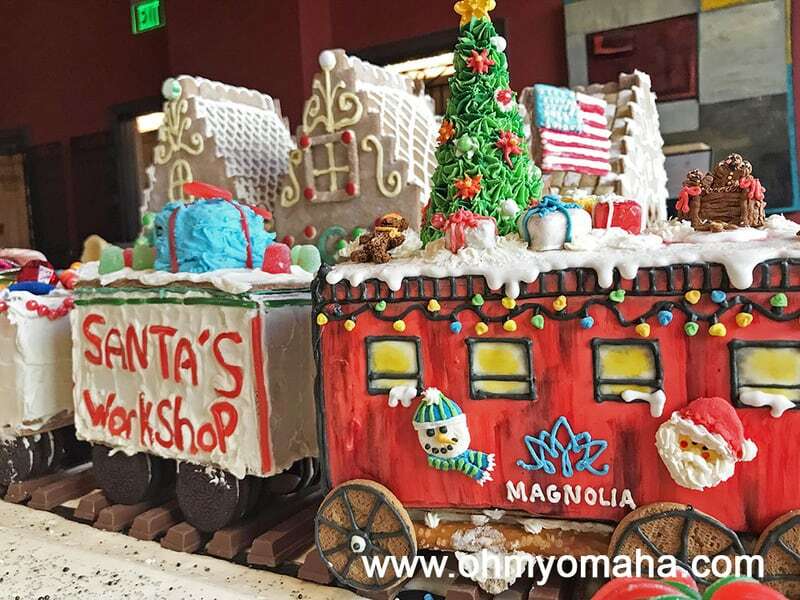 Each year, the chef and his team at Magnolia Hotel in downtown Omaha create an elaborate gingerbread scene. It’s free to visit, and located just off the hotel’s lobby. Magnolia Hotel – Stop by the downtown hotel’s lobby during the holidays to see the chef’s creations. One year, it was a gingerbread train and town. 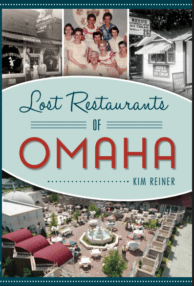 For holiday shopping in Omaha, there are a couple events that I particularly look forward to. Hot Shops Winter Open House – Hot Shops is a collection of studios and galleries of local artists working in different media. 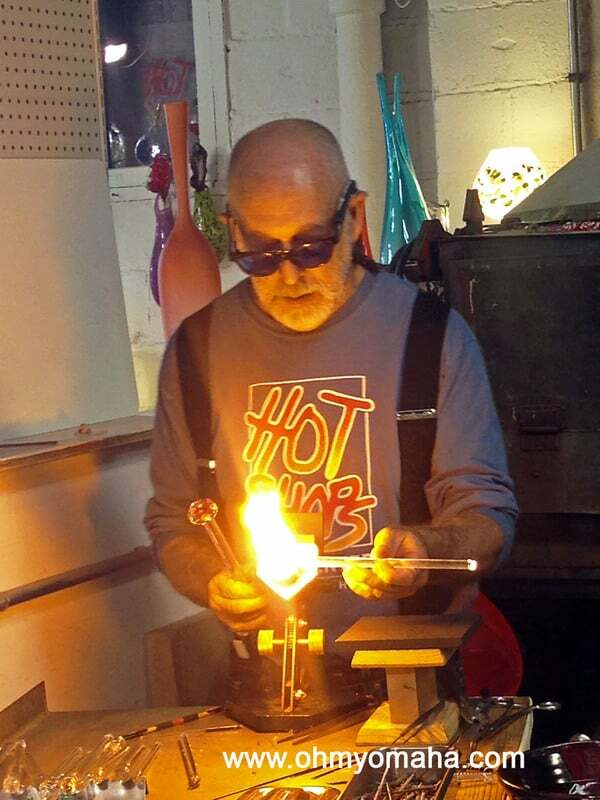 Twice a year, the open house invites the public in to see their work, watch live demonstrations (check out the glass blowing) and, of course, shop. The open house is typically the first weekend in December. Shop for one-of-a-kind gifts and watch artist demonstrations during the Hot Shops open house, typically held the first weekend in December. Holiday Market – The Holiday Market is Omaha’s answer to Christmas markets in Europe, though definitely not as big. Shop booths of local and regional artists and food vendors in tents at Aksarben Village. Santa is usually found somewhere in the market, too. The Holiday Market is typically the first weekend in December.